The design of this area makes it the ‘newest place to be’ in town. Hospitality, living and leisure are combined to a perfect mix. The urban design gives opportunity to small festivals and other festivities. These developments will attract more people to Zoetermeer for a quick visit or a longer stay. Cadenza will have its unique identity as well as a smooth connection to the other parts of the city centre. In collaboration with Synchroon, project developer of this area, C.Light.Wise created the lighting design. 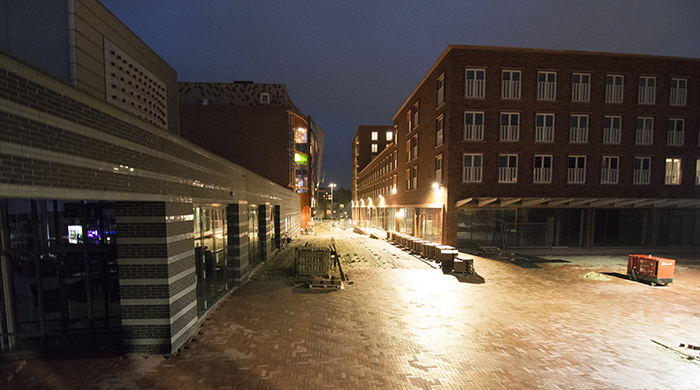 Currently the lighting is being installed, and Cadenza will be open to public very soon.